From wetland restoration to green roof technology, this year’s Dominion educational grants will engage students of all ages in a variety of outstanding energy- and environmental-focused science, math and technology programs. Some of the higher education grants also support workforce training programs. For the 2016-17 academic year, schools and educational institutions in 11 states will share grants totaling $1 million from the Dominion Foundation. 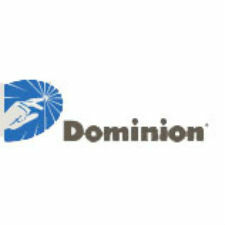 Dominion’s K-12 Education Partnership will give 66 K-12 schools and educational organizations grants that support the study of energy and the environment. The Higher Education Partnership will award 30 college and post-secondary schools up to $50,000 each to fund projects in energy, environmental studies, engineering and workforce development. George Mason University in Fairfax, Va., will be awarded $20,000 for the study of the ecological benefits and maintenance requirements of a green roof. Students will use sensors to measure storm-water runoff from a campus parking deck designed and “landscaped” to serve as an experimental green roof. Kent State University in North Canton, Ohio, will be awarded $25,000 for its “Wired Wetland” program that will fund the real-time collection of environmental data from Kent State Stark Pond and Wetland Research area. Old Dominion University in Norfolk, Va., will receive $35,000 to develop an online interactive educational game giving students a platform to make strategic business and engineering planning decisions about energy needs and delivery using a model of the modern electricity infrastructure. University of Connecticut in Storrs, Conn., will be awarded $24,500 for its study and measurement of carbon dioxide in Long Island Sound. Students will learn about stresses on the ecosystem while establishing a potentially important historical database. Four hundred grant applications were considered. Recipient schools and educational organizations are located in Connecticut, Maryland, New York, North Carolina, Ohio, Pennsylvania, Rhode Island, South Carolina, Tennessee, Virginia and West Virginia.